ISGS drilling setup on Kane County Forest Preserve property near Sugar Grove, Illinois. 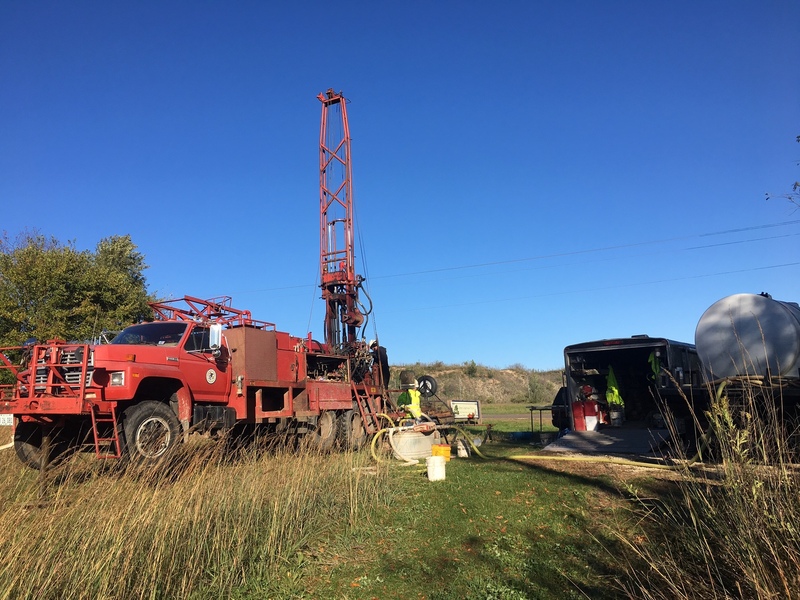 CHAMPAIGN, Ill., 11/06/18--The Illinois State Geological Survey (ISGS) drilling crew recently installed groundwater-monitoring wells in northeast Illinois as part of the U.S. Geological Survey’s National Ground Water Monitoring Network (NGWMN). 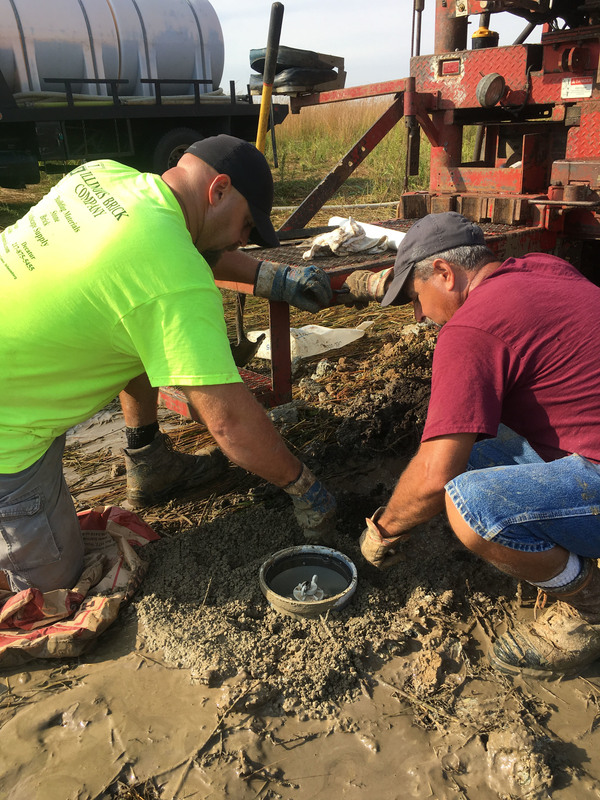 Scientists and staff from ISGS and the Illinois State Water Survey (ISWS) collaborated with county and local governments in Kane County to install the wells in shallow sand and gravel aquifers. These aquifers are a primary resource for local domestic and municipal water supplies, and local governments are motivated to monitor and conserve the resource with long-term measurements. Collaborators included staff from Kane County, Kane County Forest Preserve, the Township of Sugar Grove Water Authority, the Village of South Elgin, and the City of Yorkville. ISWS has participated in the NGWMN program since its inception in 2009 and provides groundwater data to the USGS from several regional monitoring networks across Illinois, which include the Mahomet aquifer in central Illinois and aquifers in northeast Illinois. In 2017, the NGWMN began providing funds for installing new monitoring wells into the national network, so ISGS scientists and the drilling crew have recently become more directly involved in the NGWMN program. ISGS drillers install a wellhead protector near South Elgin, Illinois.